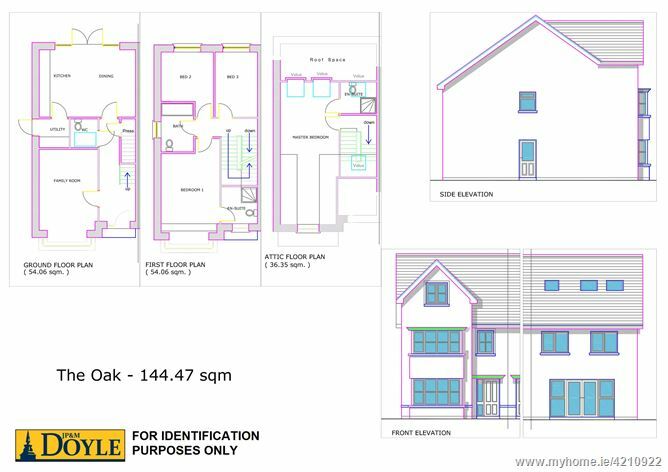 The Oak (B2 Type) Four Bedroom Semi-detached Homes c. 1,555 Square Ft./ 144.5 Square Mts. 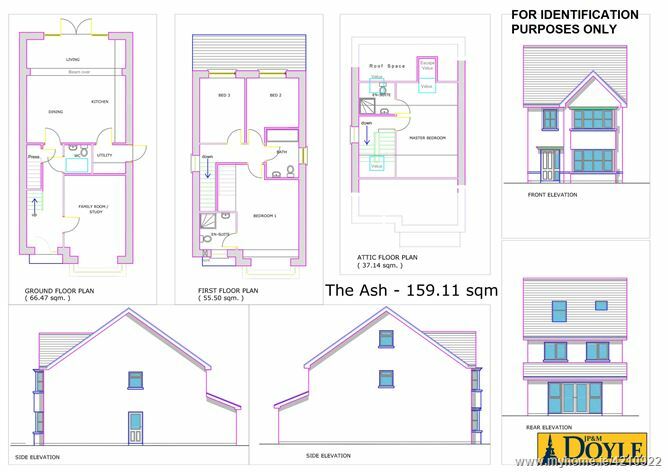 The Ash (A3 Type) Four Bedroom detached Homes c. 1,712 Square Ft./ 159 Square. Not Available yet. 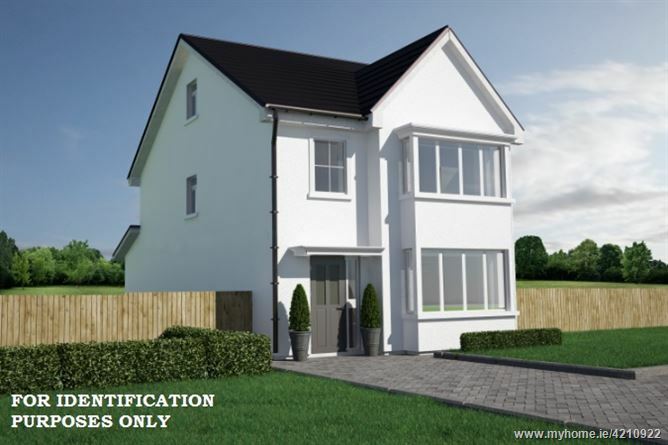 The Cherry (A2 Type) Four Bedroom Semi-detached Homes c. 1,712 Square Ft./ 159 Square Mts. Not Available yet. 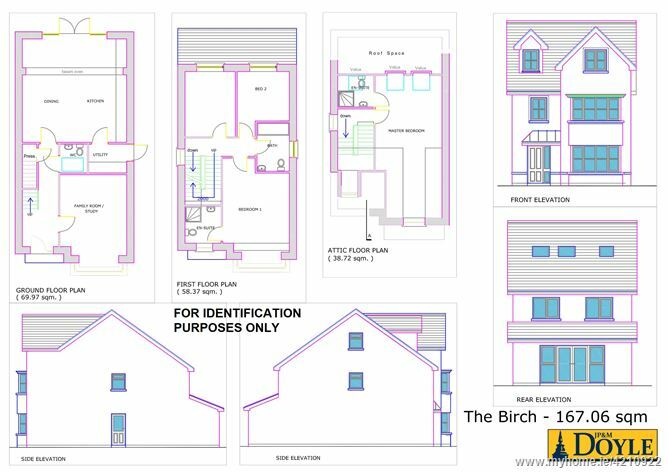 The Birch (C1, C2 Type) Four Bedroom detached Homes c. 1,713 Square Ft./ 159 Square Mts. Not Available yet. 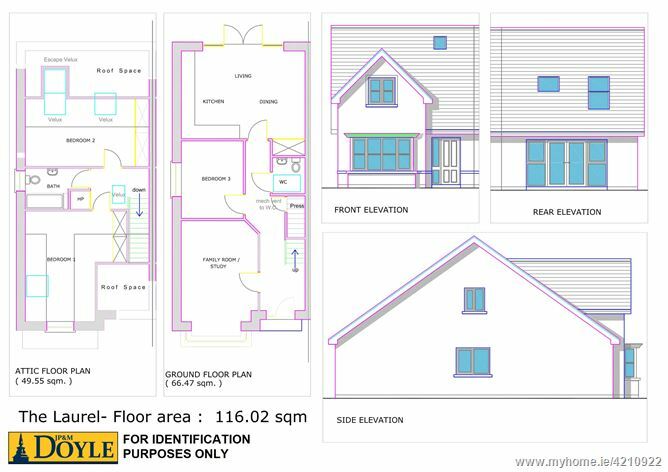 The Elm (A1 Type) Four Bedroom detached Homes c. 1,713 Square Ft./ 159 Square Mts. Not Available yet. 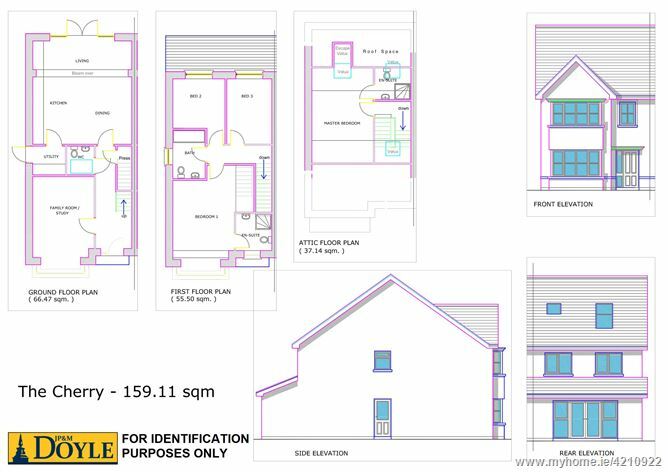 The Laurel (F Type) Three Bedroom Dormer Homes c. 1,248 Square Ft./ 116 Square Mts. Not Available yet. 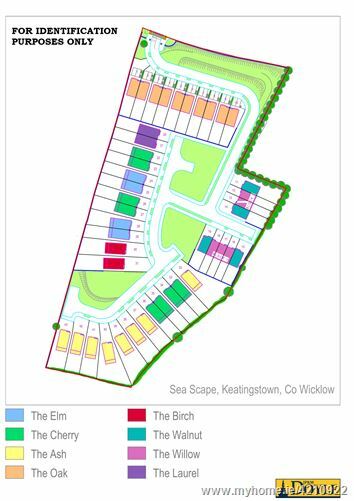 J.P.& M. DOYLE are delighted to launch Sea Scape a development of large family homes at Keatingstown, Wicklow Town, with a stunning elevated site, close proximity to shops and schools and glorious sea views, this prestigious development of just 43 houses "A" rated homes are sure to attract considerable interest. 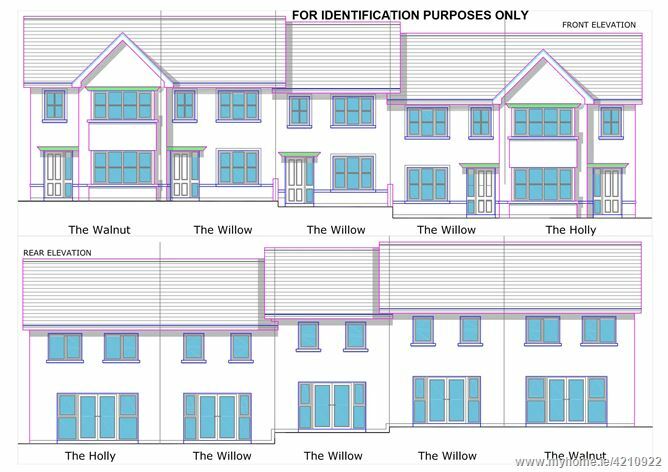 SEA SCAPE is a superb new development of only 43 family homes with a mix of 2, 3 & 4 bedrooms extra-large homes. 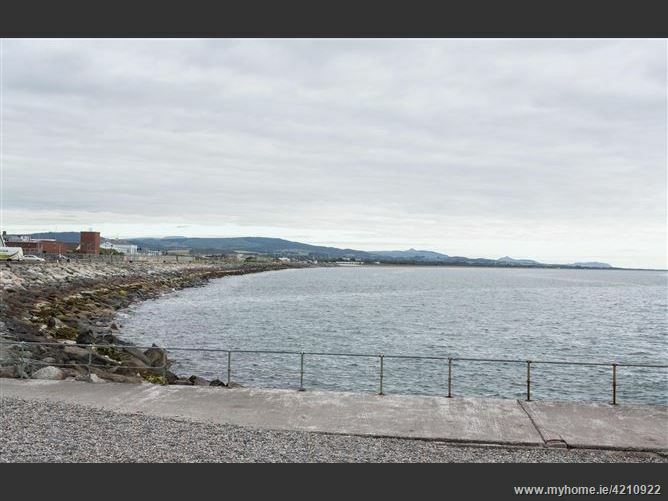 Nestled overlooking the picturesque towns of Wicklow and Rathnew and Wicklow Harbour and the Irish sea, set against the Wicklow mountains, one can enjoy the benefits of coastal and country living, with the convenience of Rathnew and Wicklow Town. 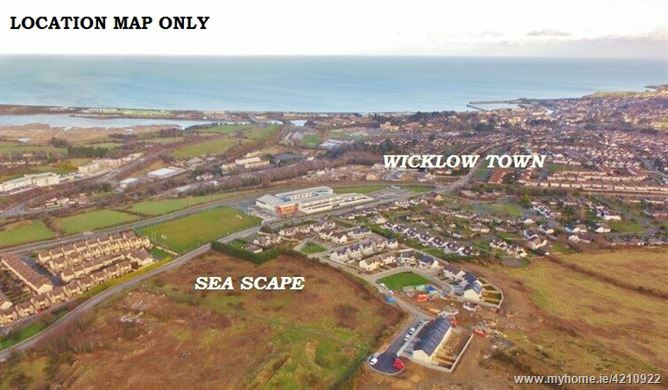 SEA SCAPE is superbly located just off M11 at Keatingstown and within walking distance of Wicklow Town Centre. 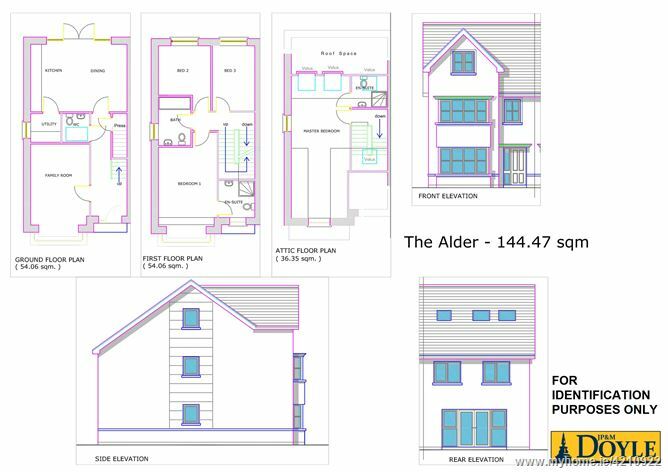 The combination of contemporary house design with established quality workmanship and attention to detail will ensure the delivery of exceptional homes in this highly desirable location. 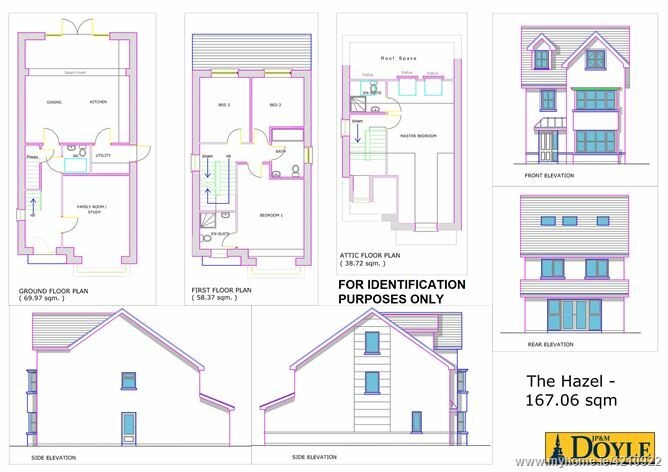 The Homes are “A” Rated, bringing energy efficiency and low heating costs together with generous room sizes in each of the 8 house designs. 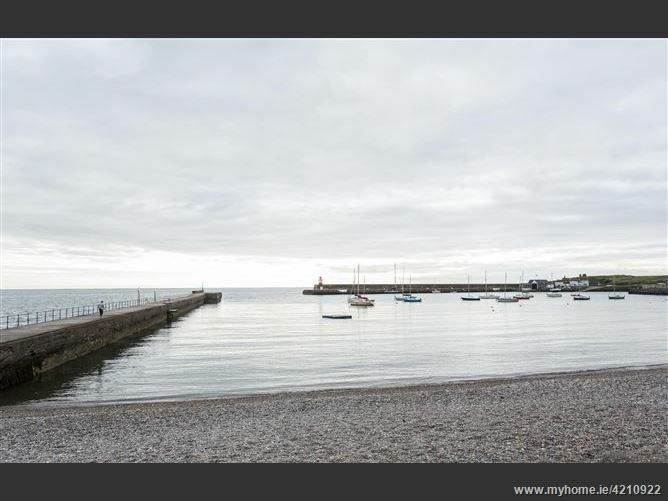 County Wicklow is renowned for its natural beauty, known as the garden of Ireland and Wicklow Town enjoys both coastal amenities and close proximity to forest walks and country pursuits. 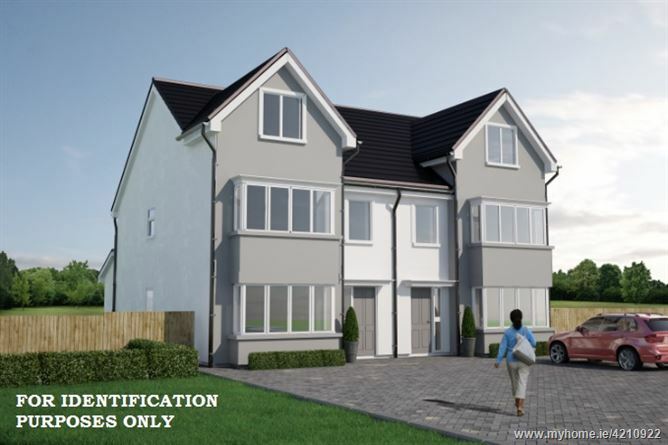 You will be surrounded by beautiful countryside adjacent to coastal amenities while only 30 minutes from Dublin City Centre, with easy access via quality roads, commuter rail & bus service. 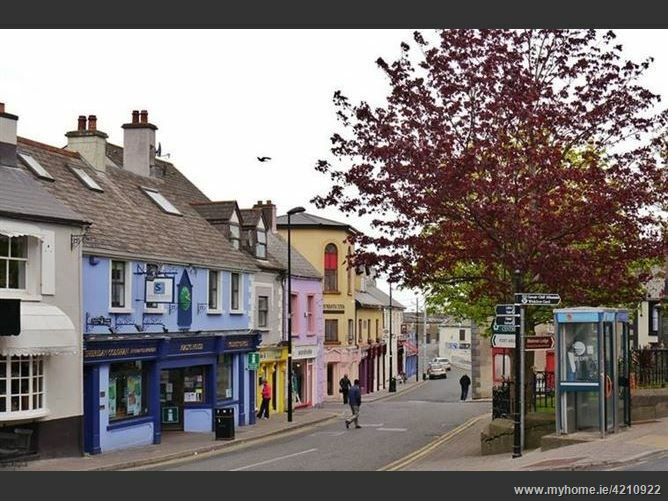 Wicklow Town Centre, boasts an extensive array of shops, supermarkets, craft boutiques, cafes and restaurants. Living on the coast you will enjoy an array of activities on your doorstep to include, sailing, fishing, windsurfing, scuba diving, as well as fabulous coastal walks. Sporting clubs in the area include Tennis, Gaelic, Soccer, Rugby, Hockey, Golf, Swimming & Rowing. 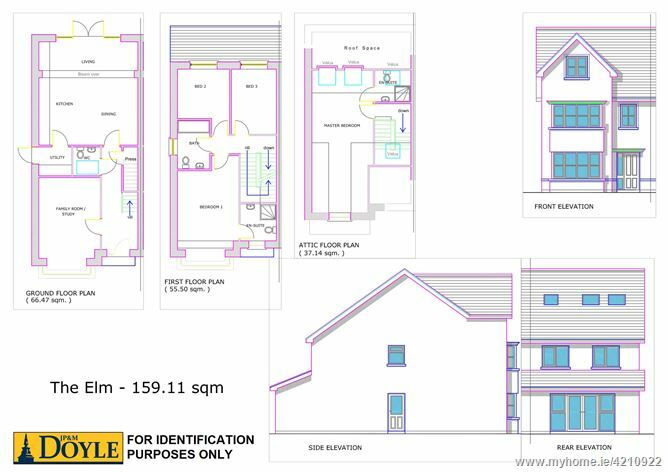 Situated just 32 Miles from Dublin just off the M11 with a nearby Train Station in Wicklow Town and the 133 Bus Eireann route through Rathnew. Educational facilities are top class in Wicklow Town and include the new Educate Together Primary School, the newly built Co Ed Secondary School - Coláiste Chill Mhantain, together with the Gaelscoil, traditional primary and secondary schools, plus Wicklow County Campus, the third level facility at Clermont which is linked to Carlow IT. Travelling south on the N11 from Dublin take the Wicklow /Rathnew exit. Follow the signs for Wicklow Town coming through Rathnew Village. On leaving Rathnew passing the graveyard on the left take a right at the traffic lights. Follow this road taking a left at the roundabout. On reaching the traffic lights take a right, Sea Scape is on the left hand side just past the Keatingstown Development.